Add another item to Boston’s list of historic features: miserable driving of historic proportions. 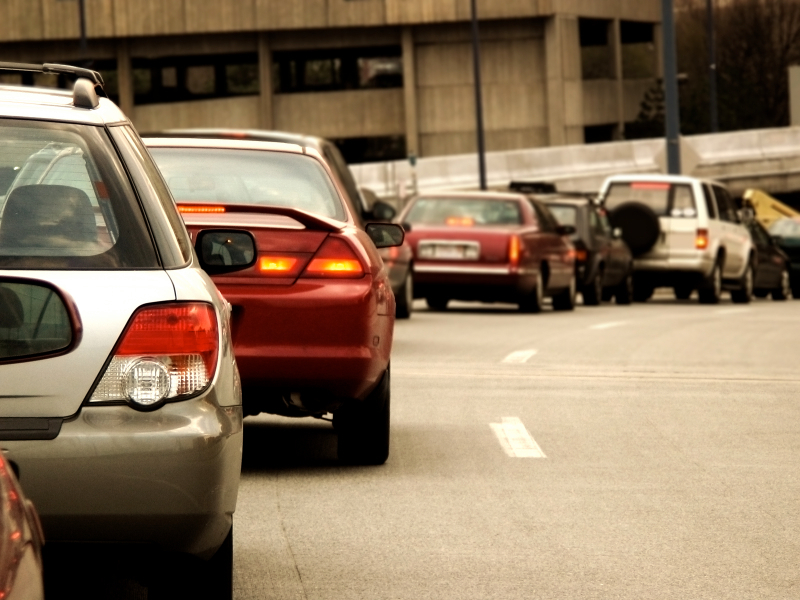 Boston tops the rankings of the worst cities for car drivers in NerdWallet’s latest study. Traffic congestion and delays are everyday problems for city drivers. The Texas A&M Transportation Institute found that the average U.S. driver spends 33 hours in traffic delays each year, but drivers in big cities often idle away more time. Rainy weather can also make delays exponentially worse. Poor weather conditions, lack of parking and a higher likelihood of an accident also contribute to a crummy driving environment. In addition to driving conditions, car ownership costs can vary significantly depending on location. Car insurance premiums are a pain point for residents in highly populated areas. They face higher rates because crowded areas typically have more accidents, car thefts and other claims. To find the worst cities for car drivers, NerdWallet analyzed driving conditions, time spent driving and insurance costs. How bad are delays? We examined the average annual hours of delay per year for each location for 30% of the score. How congested is it during peak commute times? To provide an idea of how much congestion you might experience, we looked at the percentage of the population that drives to work during peak commute hours. This is 10% of the score. How’s the weather? Poor weather conditions can make driving dangerous. We looked at the number of days with precipitation for 10% of the score. Is parking available? Once you make it to your destination, lack of parking can cause major headaches. We looked at the number of parking lots and garages per 1,000 commuter vehicles. This is 10% of our score. How much does car insurance cost annually? Insurance is costly and premiums can vary depending on where you live. We found average annual car insurance premiums for each city. Crime, such as car theft, and population density can affect car insurance premiums. This is 10% of the score. How expensive is gas? We looked at average gas prices in each location for 10% of the score. Is there a higher chance for an accident? Accidents can be costly and inconvenient. We looked at the relative likelihood of an accident for each city compared with the national average. This is 20% of the score. Boston is the worst place for car drivers, according to NerdWallet’s study. Among all of the cities NerdWallet surveyed, drivers in Boston have the greatest likelihood of an accident. And with almost an additional 10 days of rain and snow compared with the national average, driving conditions in Boston can quickly go from bad to worse. Major roadways are often congested and drivers can expect 53 hours of traffic delays each year — 20 hours higher than the national average. In addition, parking spaces may be limited, with only 1.36 parking garages and lots for every 1,000 commuter cars. It’s no surprise that one-third of commuters use public transportation, which includes the MBTA subway and buses. It’s a waiting game in the nation’s capital. Compared with other major cities, Washington, D.C., drivers waste the most time in delays: 67 hours each year. In addition, drivers pay a hefty sum for car insurance premiums at $1,390.88 — nearly $300 more than drivers in the rest of the nation. Tourists don’t help matters. They’re often lost on the city’s confusing traffic circles and one-way streets. Those who want to avoid driving can take the Metro, the regional subway system. Los Angeles beats out all other California cities in having the worst driving conditions. Drivers in the Los Angeles area endure an average of 61 hours of delays each year, and 55.1% of commuters travel during peak hours. Many Los Angeles interstates, which include the 110 and the 405, are notorious for bumper-to-bumper traffic. In addition, Los Angeles gas prices are expensive at $4.01 a gallon, which is 57 cents higher than the national average. Miami is beloved for its tropical weather, sandy beaches and Cuban vibe. But the congested roads can dampen spirits. In addition to major traffic during peak hours, car owners pay an average of $1,750.10 for auto insurance annually, 59% more than the average U.S. driver. Each year, Miami drivers spend an extra 47 hours a year behind the wheel, 14 hours more than the national average. Even though Miami residents mostly depend on their vehicles to get around, public transportation is an option. Miami-Dade Transit offers bus lines and railways that make 353,000 trips each weekday. Along with treacherous weather conditions for a substantial part of the year, Chicago has one of the worst driving environments in the nation. Drivers face an average of 51 hours of delays each year, and over half of commuters travel during peak hours. Parking can be sparse in Chicago, with only 0.77 parking lots or garages for 1,000 commuter vehicles. Instead of driving, you can rent a bike with DIVVY, Chicago’s bike-sharing system. Currently, there are about 3,000 bikes at 300 stations. Like their counterparts in Los Angeles, San Francisco drivers waste a significant amount of time in traffic: 61 hours each year. During peak hours, nearly 53% of the population can be found commuting. In addition, according to the National Insurance Crime Bureau, the San Francisco-Oakland-Hayward area ranked No. 4 in the nation for auto theft in 2013. To cater to different commuting needs, companies such as Scoot offer transportation options. Scoot rents out electric scooters in San Francisco, allowing locals to travel the city in a more eco-friendly fashion. Philadelphia’s driving conditions could leave your head ringing. The city saw 113 days of precipitation in 2012, and drivers are 61.2% more likely to get into an accident than drivers in other U.S. cities. On average, car owners can expect to pay $1,278.20 for auto insurance, over $170 more than the national average. Gas prices are costly as well at 16 cents above the average U.S. cost per gallon. If you want to declare your independence from driving, Philadelphia’s public transit agency, SEPTA, provides a wide variety of transportation options, ranging from buses and trolleys to subways. Seattle’s frequent rainy weather creates a dangerous driving environment with slick roads and poor visibility. According to the National Oceanic and Atmospheric Administration, Seattle had 150 days of rain in 2012 — 40 days more than the national average. Aside from the weather, drivers face 48 hours of traffic delays each year or nearly 46% more than the national average. While the Motor City makes a lot of cars, there’s nowhere to park them. Detroit has the lowest parking availability on our top 10 list: For every 1,000 commuter cars, there are 0.49 parking lots or garages. Then, there are the horrendous insurance rates. Detroit drivers pay an astonishing average of $4,924.99 each year for car insurance — over 347% of what the average U.S. car owner pays. In 2012, Detroit had 11,500 motor vehicle thefts, according to data from the FBI. Crime and car theft can boost insurance premiums for residents. New York City is the nation’s most populated city and its streets bear the brunt. 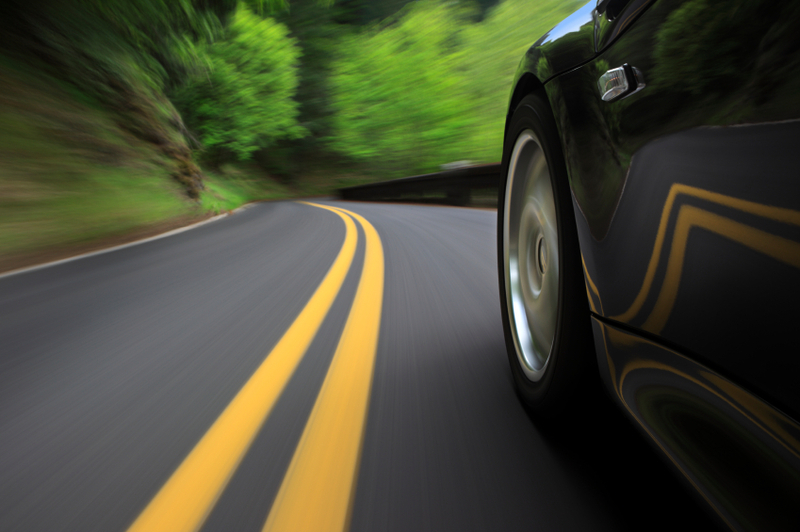 Car owners spend $1,614.71 annually on car insurance, $500 above the national average. In addition, drivers in the Big Apple face 59 hours of delays each year, which is likely why New York City has a strong public transit culture. The New York City Transit Authority, which includes the subways, is the largest heavy rail transit system in the nation. New York City also has bike-sharing programs available, including Citi Bike, where people can rent bikes to get around. Annual hours of delay: We used traffic congestion data from Texas A&M Transportation Institute. More hours of delay resulted in a lower overall score. Peak-period commuters per population: We used traffic congestion data from Texas A&M Transportation Institute. A higher percentage of peak-period commuters per population resulted in a lower score. Days of precipitation: We used data from the National Oceanic and Atmospheric Administration and found days of precipitation in 2012. More days of precipitation resulted in a lower score. Parking garages and lots per 1,000 commuter vehicles: We used data from the U.S. Census Bureau’s American Community Survey. More parking garages and lots per 1,000 commuter vehicles resulted in a higher score. 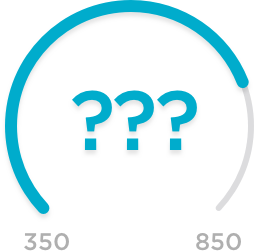 Average annual car insurance premium: We used data from NerdWallet’s car insurance comparison tool. To determine the average insurance premium increases, we used quotes for eight driver profiles: 27-year-old single men and women and 40-year-old married men and women each driving a Toyota Camry and a Ford Escape. For each driver profile, we used every city’s three cheapest car insurance quotes (to reflect consumer behavior) and to determine our overall average. A more expensive insurance premium resulted in a lower score. Average gas prices: We used 2014 data from the Council for Community and Economic Research to find average gas prices in each location. Higher gas prices resulted in a lower score. Accident likelihood compared with that of the national average: We used data from Allstate’s America’s Best Drivers Report. A lower percentage resulted in a higher score.